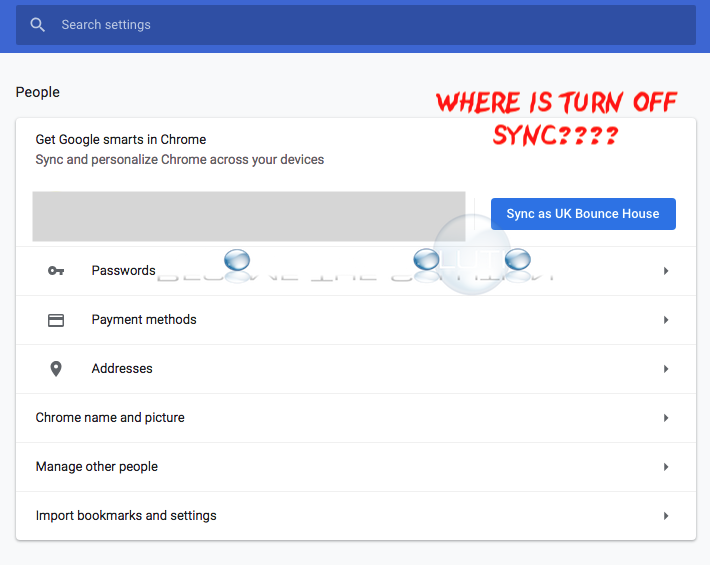 Turn Off Google Chrome Sync? The latest version of Google Chrome introduced a more convenient way to sign in and out of your Google accounts. In addition, you can now easily “sync” your Google accounts with bookmarks, history, passwords, and other settings – per Google’s help page. At the top right, click triple dots -> More and then Settings. At the top, under "People," click Turn off. Except…we don’t see TURN OFF option. Is anyone else seeing this option? This seems to be concerning a lot of users online right now.